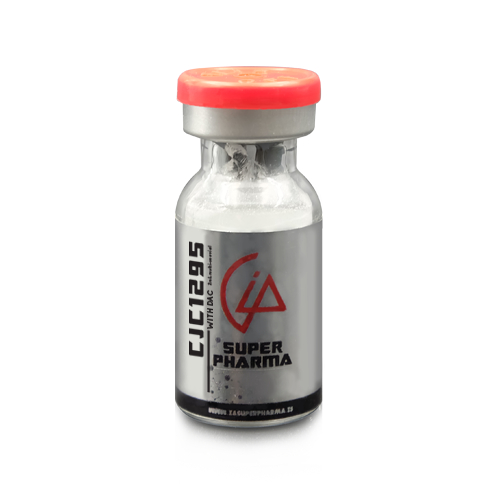 CJC 1295 is an injectable peptide used to increase GH production. 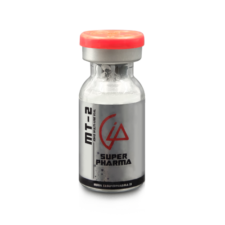 This peptide is a growth hormone releasing hormone (GHRH) mimetic, or analog. That is to say, it works in the same way as GHRH, and may be referred to as being a GHRH. 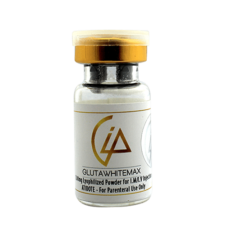 The principal use of CJC 1295 is to provide increased GH levels, which also results in increased IGF-1 levels. An increase in these levels can aid fat loss and in some instances can aid muscle gain as well. Generally, a product in the GHRH category, including CJC 1295, is chosen as an alternate to using GH, and only rarely is combined with GH. The other principal GHRH product is Mod GRF 1-29, which in most instances I recommend over CJC 1295. The products differ in their duration of action. Mod GRF has an approximately-ideal short duration of action allowing pulsatile dosing, whereas CJC 1295 has an extended duration of action which prevents such dosing. It’s important to avoid confusing CJC 1295 with “CJC 1295 w/o DAC.” The latter is not CJC 1295, but rather is misnamed Mod GRF. When a peptide doesn’t have DAC, it’s not CJC 1295. CJC 1295 is sometimes marketed as “CJC 1295 with DAC.” This simply is CJC 1295. Relatively rarely, adverse side effects associated with excessive GH use, such as pain from nerve compression (such as carpal tunnel pain), excessive water retention, or reduced insulin sensitivity can occur from CJC 1295 use. The cause is stimulation of a greater amount of GH production than is suitable for the individual case. The solution is to discontinue use until the problem is resolved, and to reduce dosage when resuming use. For ongoing support of GH production, at doses recommended below, CJC 1295 does not need to be cycled. As with Mod GRF, CJC 1295 use can be combined with use of GHRP, but if using a GHRP, for superior results I recommend combining Mod GRF with it rather than CJC 1295. If choosing CJC 1295 anyway to stack with a GHRP, dosing of the CJC 1295 remains as recommended above, while GHRP dosing will be typically 100 mcg at a time, or 50 mcg at a time if using hexarelin. CJC 1295 is in the class of growth hormone releasing hormone (GHRH) mimetics. 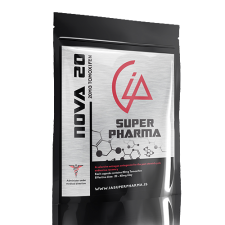 GHRH is also the name of the naturally-occurring hormone in the body, but the natural compound is not used in bodybuilding or as a performance-enhancing drug due to its high cost of manufacture and its extremely brief duration of action.. CJC 1295 is a modified version of the first 29 amino acids of GHRH, together with addition of a “Drug Affinity Complex” or DAC. The combination of modifications provides a half life of about 1 week, and steady blood levels after injection.